EXTRA SHARP!!! GORGEOUS PEARL WHITE!! LOW, LOW MILES! WOW!!! Only 31,187 miles on our SHOW-STOPPING 2016 GMC 1500 Crew Cab 4x4 Denali. 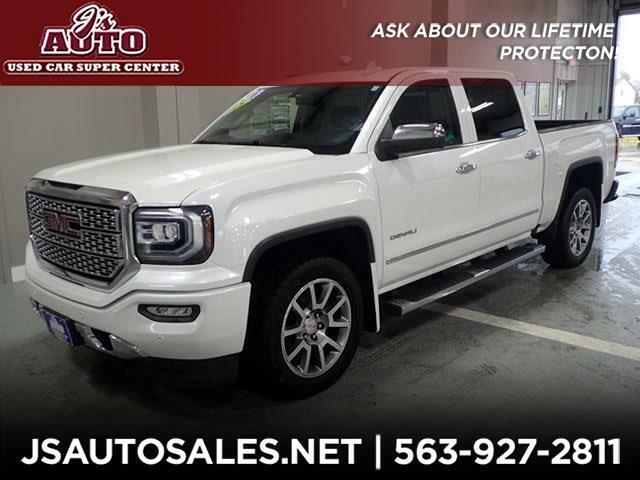 This truck has PLENTY TO LOVE, from that beautiful and classic pearl white exterior and sharp 20-inch alloy wheels, to an ample array of options, including remote start, premium BOSE sound, back-up camera, sunroof, heated black leather, spray-in bedliner, even NEWER TIRES-A VALUE ALL ON THEIR OWN! Did I mention that we even INCLUDE the added value & security of our LIFETIME protection plan, when you regularly service with us?! Don't miss out-call or email our trusted, locally owned & operated dealership, here at J's Auto TODAY!